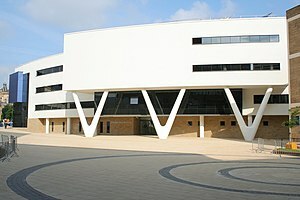 I teach Fashion & Textiles Buying Management at the University of Huddersfield. I have been here just about 4 years after morphing into a full-time teaching post from the clothing industry. I teach global sourcing textile technology, sustainability, management and international business. I love how this job challenges me all the time. It also gives me the excuse to pander to my inner girly swot . So I am new (ish) to teaching and keen to do a good job for our students. I recently completed my MA Professional Development following on from the PGCE and I have a real interest in helping students to learn. I also think the experience of ‘being a student’ is invaluable and so I signed up for another course. I hope this will really get me using technology better for teaching and understanding how it feels from a student point of view. I embraced our VLE and can upload, use the WIKI facility etc. – It’s OK but it really is a glorified filing cabinet, surely it could be more? So I would really like to explore external resources as I think these will be less clunky and more attractive. I very much have the ‘L-plates’ on though as none of this comes easily to me, nor do I find it engaging. It is a tool to be used creatively but I’m not dedicated enough to explore every facet of it; I just don’t have the time. I am sure this prevents lots of us from having a go so hopefully I can share what I discover over the next few weeks too. My big question is (at this early stage) what can I adopt easily that will enhance the learning of my students? I also have an inner dialogue going of how I felt as a student on the course as I think this perspective is enlightening and I will draw on it in the future as I implement my learning.